The latest Canon EOS 5D Mark IV is a powerhouse of still photography and best videography, a gift by the 5D series, Offering high-class performance and purification of image and video quality. It is versatile in nature, as canon stands on its dedication of providing excellent image experience, this commitment is shown clearly in Canon EOS 5D Mark IV. It delivers the brilliant performance in all aspects of photography like portrait and landscape, nature and casual photography and also offers a perfect environment. The powerful 30.4 MP full frame sensor is present to get the first-rate images and videos. It allows recording most focused 4K videos. To enhance focusing ability it provides the pure and accurate 61-point autofocus system along with Canon’s absolute Dual Pixel CMOS autofocus for fast and smooth autofocus to give a focused and bright look in your images and videos and for making your moments precious. It includes a super-fast processing speed with the help of Canon’s DIGIC 6 image processor which is able to deliver continuous shooting at 7 frames/second. A Perfect camera for getting the exceptional quality photos and videos in any conditions, Canon EOS 5D Mark IV is a helpful camera for both low-light and daylight situations. It contains a built-in Wi-Fi, NFC, and GPS for connectivity, which allows you to share your moments effortlessly with compatible smart devices. A touch-screen LCD is also available videographers in this ultimate device which is easy to use, with the help of LCD you can set focus by touching the point on the screen and customize settings like brightness and frames as you need. 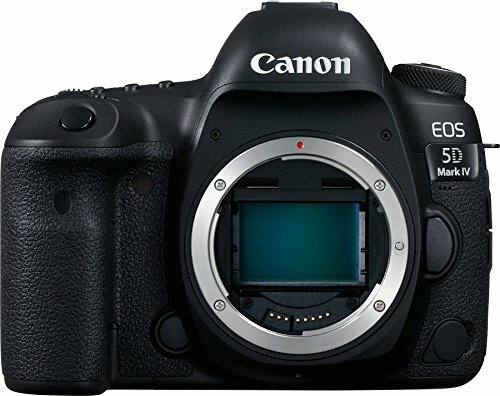 The Canon EOS 5D Mark IV is an inspiring device by Canon to fetch the superb quality results and also a remarkable device for professional Photo and videographers. It is perfect for Wedding photography. There are various types of lenses on the market, and if you recently bought Canon EOS 5D Mark IV then you have to choose a perfect gear for it to experience its powerful creativity. In this guide, we provide a list of all the lenses which are compatible with EOS 5D Mark IV for making you able to choose the best one from them. 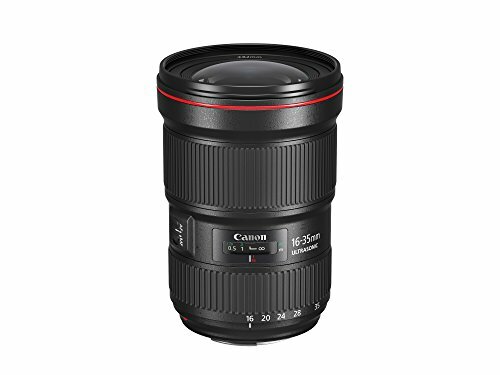 The Canon EF 28-300mm F/3.5-5.6 is an all-around performing L-series zoom lens, a perfect all-in-one lens featuring 28-300mm ideal focal length which is appropriate for professional photographers using Canon EOS 5D Mark IV. It has 3 Ultra-low dispersion glass elements along with super spectra coating for effectively reduce the ghosting in daylight and provides sharp and detailed photos. A super-fast image stabilizer is also available in its build to lessen the risk of both chromatic and angular camera shake by 3 stops which is helpful in low-light situations. It is ideal for wildlife and documentary type of photography. It uses a circular Ultra Sonic Motor and with the assistance of internal focusing it provides silent and quick autofocus and offers the closest focus from 2.3 feet along with full-time manual focusing mechanism. The best all-in-one lens for Canon EOS 5D Mark IV. 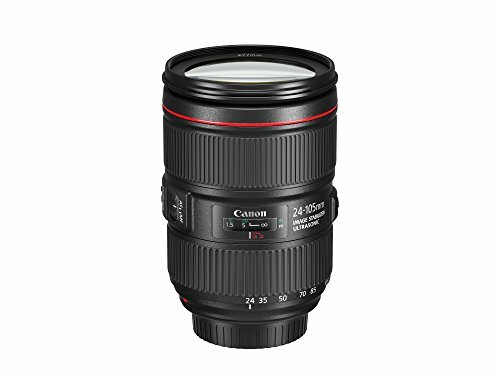 Canon EF 24-105mm F/4L is a versatile standard L-series zoom lens for Canon full-frame camera sensors also able to be used with APS-C sensors, featuring 24-105mm focal length with the constant aperture of F/4 which covers various aspects from wide-angle to telephoto. Its 4 aspherical elements help in minimizing the color deviations and distortions for delivering sharp photos. It features an optical Image Stabilizer which offers 4 stops for reducing the aspects of camera shake and helpful for working in low-light conditions. An Ultra Sonic Motor is also available along with an internal focusing motor and super-fast processing speed to perform silent and smooth autofocus which definitely boost the quality of your image also supports full-time manual focusing. It is an L-series lens which is able to protect from moisture and dust and allows you to use it in severe conditions. It is perfect to use with Canon EOS 5D Mark IV. 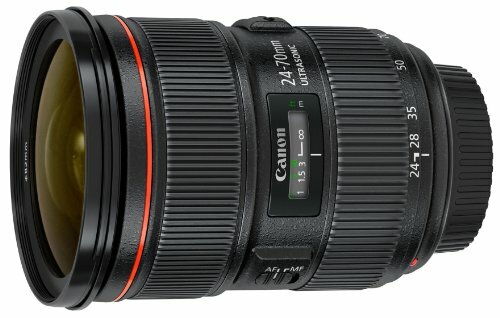 Canon EF 24-70mm F/4L is a flexible standard zoom lens manufactured for full-frame device sensors and provides focal length equals to 38-112mm while using with APS-C camera sensors. A constant and consistent aperture in the whole range of zoom. Including 2 Ultra-low dispersion glass elements which effectively lessen the color deviation along with Spectra coating which prevents your shots from distortion and ghosting for providing the high-quality images in daylight photography. An Optical Image stabilizer is also integrated into its design which helps in reducing camera shake with 4 stops. Featuring an Ultra Sonic Motor with an internal focusing mechanism and high-speed processing to deliver silent and precise autofocus and takes the best and focused shots in all lighting conditions with the closest focusing distance of 1.2, allows you to focus manually even in AF mode, also it can be used as a full-time manual focusing device. It is secured against moisture and dust for using in a severe situation with Canon EOS 5D Mark IV. 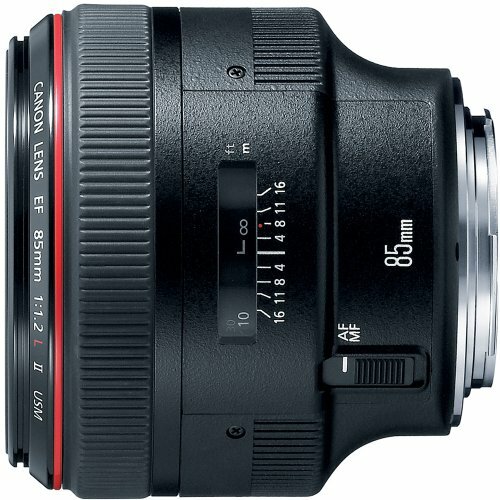 Well-liked lens for portraits Canon EF 85mm F/1.2L II USM id engineered for Canon full-frame cameras and provides great focal length equals to 136mm while using with APS-C type camera sensors. It offers an excellent aperture of F/1.2 for taking bright photos in low-light conditions. A unique aspherical element with floating optical mechanism is also present in its build to ensure the sharpness and also helpful for reducing distortion. For shooting in daylight and minimizing the risk of ghosting it features a super spectra coating and delivers high contrast and good looking photos and videos. As it belongs to L-series it is locked for moisture and dust and allows to be used in harsh conditions. It is an exceptional lens which covers from wide-angle to telephoto perspectives. It includes an Ultra Sonic Motor, along with high image processing speed to provide quiet, smooth and accurate autofocus and delivers the most focused photos with pleasing background blur. It also capable to be used as full-time manual focusing gear. Highly recommended professional lens for Canon EOS 5D Mark IV, specially build for portraits using with Canon EF full-frame camera sensors. 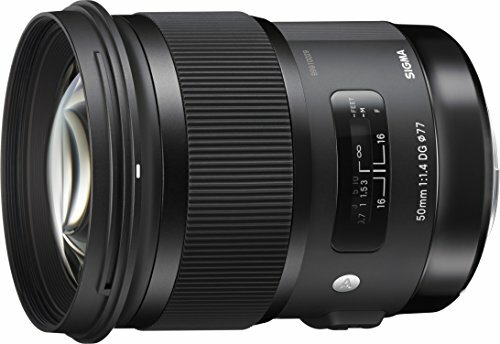 Sigma 85mm F/1.4 DG HSM is a member of Art lenses for producing remarkable photos and videos. It offers F/1.4 large aperture which is helpful in low-light conditions, and suitable for telephoto perspective. It includes 2 Super-low dispersion elements for reducing the deviation and to supply maximum sharpness and clarity to the images. It minimizes the ghosting with its multi-layer coating. This lens is made up of thermally-stable material which allows you to use it in high temperature. It uses a Hyper Sonic Motor along with an internal mechanism for performing the silent, fast and smooth autofocus and produces highly focused videos and photos. It also allows focusing manually by just rotating the ring when you need. 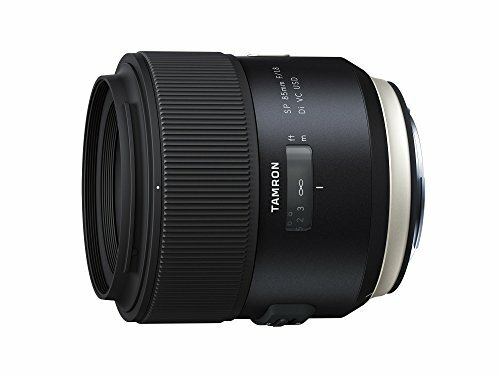 Tamron SP 85mm F/1.8 is a compact telephoto lens, offering 85mm amazing focal length and maximum F/1.8 aperture for taking exemplary bright photos and videos with beautiful background blur. It has a unique feature of Di vibration control image stabilizer which helps in lessening the camera shake and ensures the maximum brightness and sharpness of your photos. It is best for reducing the color fringing, deviation, distortion, ghosting, and chromatic aberration and helpful for both the low-light and strong lighting conditions. An Ultra Sonic Drive is integrated into its latest design for delivering the silent, precise and super-fast autofocus which offers you to get the super focused object from the whole frame and also supports full-time manual focusing. It is an ideal lens for Canon EOS 5D Mark IV. 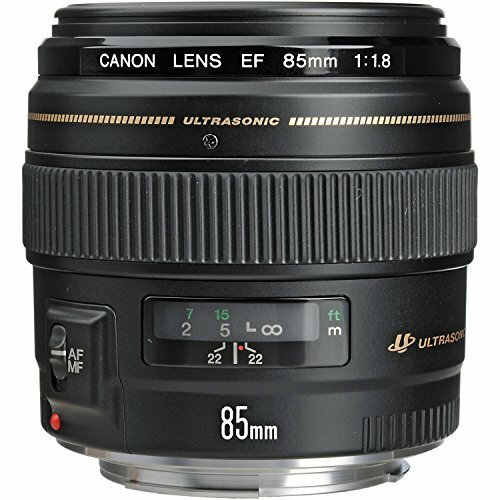 A short telephoto prime lens built for portraits Canon EF 85mm F/1.8 USM specially designed for Canon EF-mount full-frame camera sensors, also capable for using with APS-C models where it renders remarkable focal length equals to 136mm. Featuring 8-blade F/1.8 bright aperture which is helpful in low-light conditions and also helps in focusing mechanism. A super spectra coating is available to reduce ghosting and provides an assistance in daytime photography. It uses a circular Ultra Sonic Motor for delivering silent, smooth and quick autofocus for producing super focused images and videos also allow to use as a full-time manual focusing device. A magnificent lens for taking sensational images and videos using with Canon EOS 5D Mark IV. 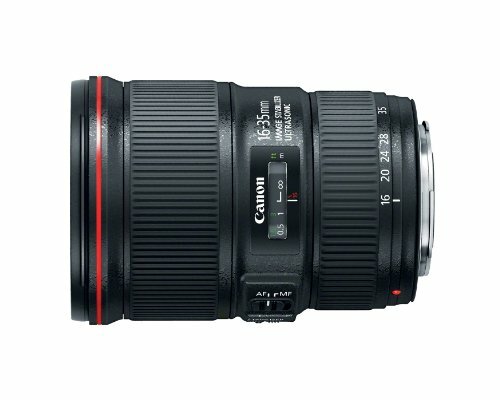 Well-liked and adaptable standard zoom lens, Canon EF 24-70mm F/2.8L II, best for travel purposes. It is a member of L-series specially designed for Full-frame camera sensors but has the ability to use with APS-C type sensors offering a flexible focal length of 24-70mm along with 9-blade F/2.8 huge aperture which ensures the perfect performance and definitely benefits in night-time photography. It has an exclusive super ultra-low dispersion glass and two Ultra-low dispersion glass elements along with Super Spectra Coating to lessen the maximum risk of color deviation and distortion also provides the high contrast and bright photos and images in good light. An internal focusing motor with Ultra Sonic Motor and super-fast image processing speed assures the high-speed and silent autofocus and offers a full-time manual focus switch. A weather sealed built an ideal lens for Canon EOS 5D Mark IV. 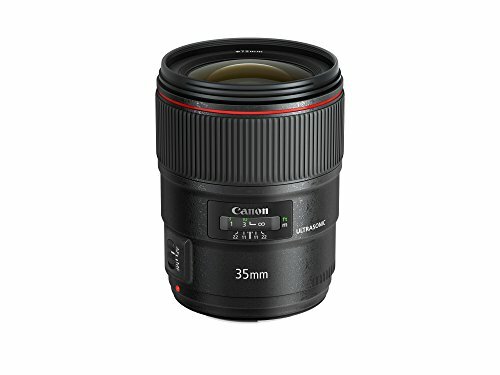 Canon EF 35mm F/1.4L II USM is a wide-angle L-series prime lens for travel photography, manufactured for both full-frame and APS-C type camera sensors featuring large focal length of 35mm with 9-blade F/1.4 fast aperture which assures the high-quality results even in tough lighting situations. 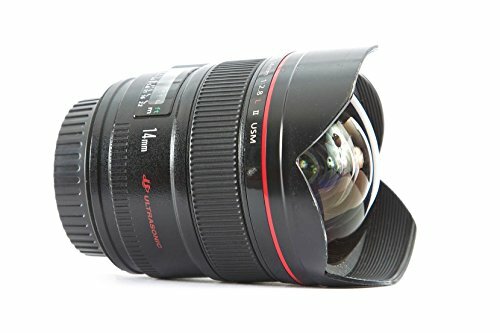 A unique ultra-low dispersion glass with two aspherical elements are included for minimizing the color distortion and for providing maximum sharp photos and videos. It is feasible for both low-light and good lighting conditions and produces the high-quality stills. It offers an Ultra Sonic Motor which is here to provide silent, speedy and accurate autofocus and delivers the bright images with an all-time manual focusing override. As a member of L-series lenses, it is a weather-resistant build. A wonderful performance lens for Canon EOS 5D Mark IV. 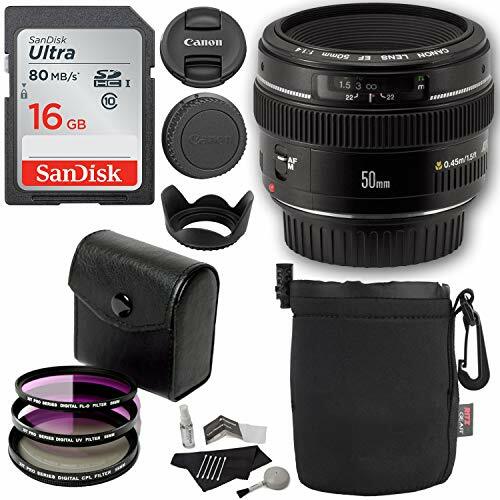 Canon EF 50mm F/1.4 USM is an all-around and supreme quality prime lens for Canon EOS 5D Mark IV, mostly used for travel purpose, engineered for Canon EF-mount full-frame DSLR cameras and also feasible to use with APS-C type sensors. It features great 50mm focal length and rounded 8-blade quick F/1.4 aperture which is suitable for shooting in hard lighting conditions. It reduces ghosting, deviation, and flares with the help of super spectra coating and aspherical elements for getting better contrast and supportive in daytime photography. A micro Ultra Sonic Motor is included in its marvelous design for delivering the super-fast and quiet autofocus also able to be used as manual focusing gear. A brilliant performance gear for taking beautiful photos and videos in every condition and every photographic perspective. 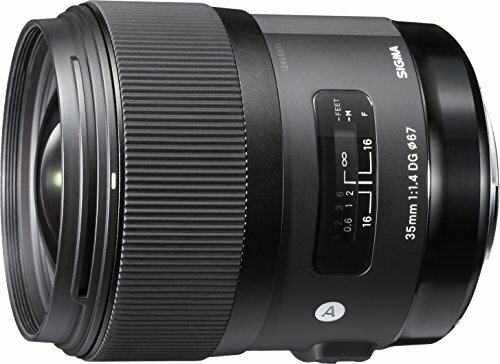 Sigma’s first professional Art lens, offering artistic performance, The Sigma 35mm F/1.4 DG HSM, specially built for Canon EOS Cameras like Canon EOS 5D Mark IV. It includes an outstanding 35mm focal length with an excellent 9-blade aperture range for getting the best shots in all types of environments. It has a Super Multi-Layer Coating to minimize the distortion and special low dispersion glass elements for helping in low light conditions. A reliable lens for getting high-rate results and first-class performance in travel and casual photography. It uses a Hyper Sonic Motor, also an internal focusing mechanism for delivering the fast and exact autofocus and provides fantastic and admirable photos and videos also offers a manual focus switch. 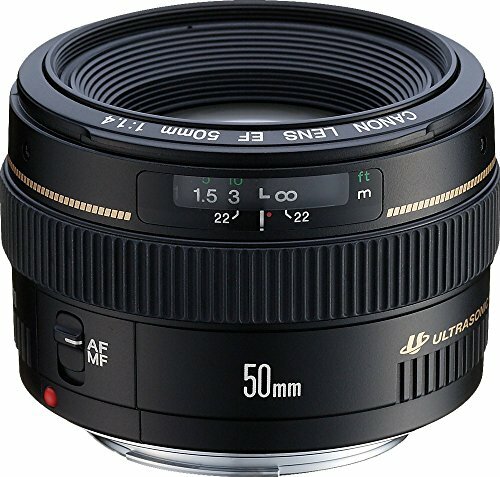 The Sigma 50mm F/1.4 DG HSM is a standard size prime lens for Canon EF mount DSLRs and best pick for Canon EOS 5D Mark IV. A fast and superlative performer which offers an ultimate 50mm focal length with 9-blade absolute aperture range for having a better experience in shooting stills and videos. 3 Super low dispersion glass with the multi-layer coating is integrated into its design for reducing flare and distortion and produce exemplary results in low-light situations. An optimized autofocus mechanism with Hyper Sonic Motor is included for performing the smooth and quick autofocus which ensures producing the maximum focused photos with elegant background blur, also able to be controlled as full-time manual focusing gear by just revolving the ring. A professional lens for getting high-quality results with modern DSLRs. 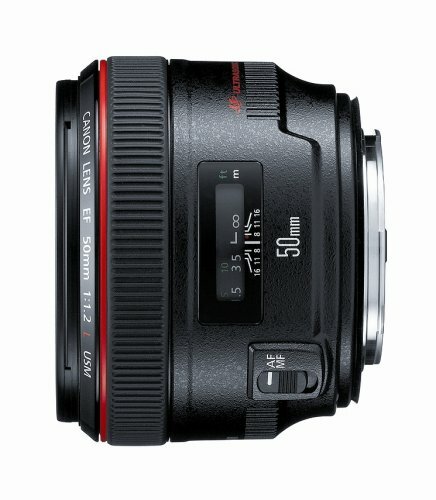 Canon EF 50mm F/1.2L USM is a flawless standard length prime lens compatible with Canon EF-mount full-frame camera sensors but also capable to use with APS-C type sensors. It features brilliant focal length of 50mm along with an exceptionally bright aperture for providing the perfect results even in low-light conditions. One Aspherical element with a super spectra coating is available for getting the maximum sharpness and helps in reducing aberration and ghosting which is ideal for shooting in daylight. It includes a rounded Ultra Sonic Motor with a super-fast processing speed to perform a silent, smooth and accurate autofocus. It also blocks moisture and dust because of its weather-resistant build. Strongly recommended using with Canon EOS 5D Mark IV. 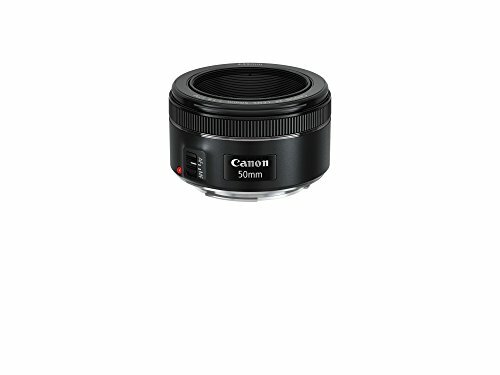 A bright normal length prime lens, Canon EF 50mm F/1.4 USM, featuring natural point of view with a magnificent focal length of 50mm with a sparkling 8-blade high aperture for providing a glowing look to videos and photos. It is engineered for full-frame camera sensors but also capable to be used with APS-C type sensors. It reduces ghosting, flaring and color distortion with its glass elements for assuring the maximum sharpness and accurate results and with super spectra coating it helps while shooting in casual situations and also in strong light. A Micro Ultra Sonic Motor is also integrated for producing focused and beautiful photos and videos by providing the silent, smooth and fast autofocus, also able to switch from autofocus to manual focus. Canon EF 50mm F/1.4 is a resourceful standard prime lens, designed for efficient performance while using with both types of sensors. It offers a remarkable focal length of 50mm with F/1.8 fast and huge aperture which ensures the glaring results unexpectedly when shooting in night-time situations. It is the best in decreasing the distortion, color deviation and ghosting with its exclusive glass elements. It is a lead performance lens for all the lighting conditions and delivers the sharp and high contrast photos and videos. It uses Stepping Motor with a high image processing speed for quick and exact autofocus to deliver the high-resolution images and videos. A superb quality lens for Canon EOS 5D Mark IV. An attractive dreamy wide-angle prime lens, Canon EF 14mm F/2.8L II USM is compatible with both full-frame and APS-C type camera sensors. It offers a great 14mm focal length along with a bright F/2.8 huge aperture which allows to use it in astrophotography and provides a natural look in your clicked moments. Two Ultra-low dispersion, a pair of aspherical elements with super spectra coating is here in its wonderful design to decrease the maximum risk of aberration, ghosting, and flares for getting the high contrast and sharp images and also helpful in both low-light and good- lighting conditions. It allows to use it in the harsh environment because of its shield against dust and water. An Ultra Sonic Motor is also included with an internal focusing system for performing the quiet, precise and smooth autofocus and you can also focus manually all the time. An unexampled gear for Canon EOS 5D Mark IV. 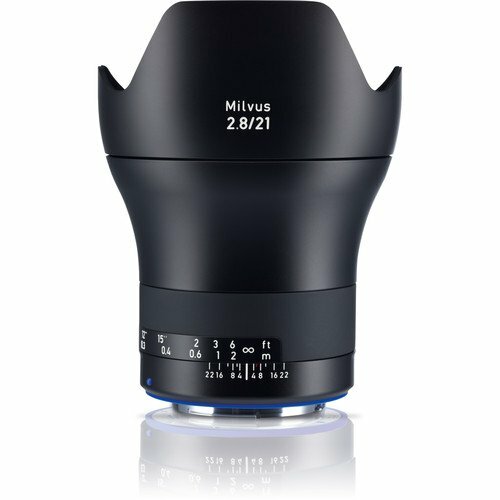 Zeiss Milvus 21mm F/2.8 ZE is a high quality wide-angle prime lens for Canon EOS 5D Mark IV, which is engineered for both EF-mount and APS-C type models from Canon. Offering 21mm vast focal length with a F/2.8 maximum aperture which is helpful in all views of photography. It allows capturing distortion-free photos from close-ups to distant photography. It is a manual focusing gear with an easy to use mechanism and delivers the best image quality from traveling to street and portraits to casual photography. It is a seal of weather resistance in its build to stop the dust and moisture. An expansive lens offering premium quality photos and videos. 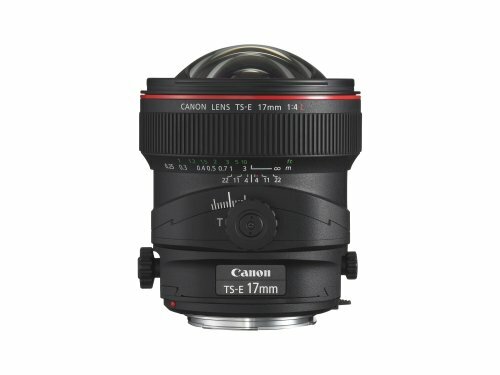 Canon TS-E 17mm F/4L Tilt-Shift ultra-wide angle lens with the advanced point of view. Featuring 17mm focal length with the great aperture of F/4L which offers wide opening and also commits to giving best results. It decreases the flaring and ghosting effectively with its four Ultra-Low glass elements. It is an exemplary gear for getting high-quality photos and videos in both night-time and day-time situations. It has a tilt-shift mechanism which is able to provide the best focus from the distinct place and can rotate 90 degrees and deliver bright view. It is an L-series lens which is strongly sealed for dust particles and moisture and allows to use it in inclement conditions. A well-liked wide diaphragm lens for Canon EOS 5D Mark IV. 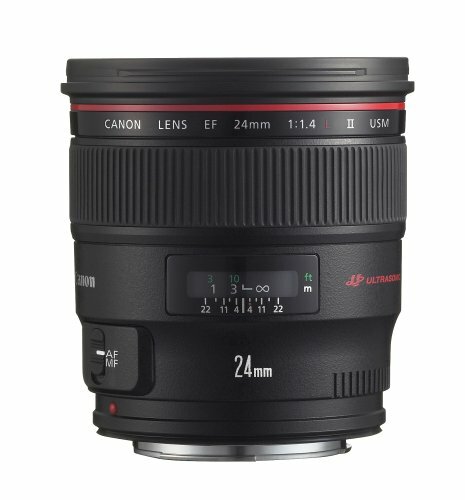 A marvelous and favorable wide-angle lens, Canon EF 24mm F/1.4 II USM, featuring strong and reasonable design with wide focal length and quickest aperture range which helps in working all views of photography. It has a pair of ultra-low dispersion glass elements and two aspherical elements for taking clear and clean images with minimum risk of distortion and aberration, provides high sharpness and contrast to your moments. It delivers the most consistent quality of photos in its whole zooming and focusing range by using an Ultra Sonic Motor along with an internal mechanism of focusing which also helps to perform quiet, quick and smooth autofocus, also capable to switch from autofocus to full-time manual focusing system. A well-built and most recommended lens for Canon EOS 5D Mark IV. 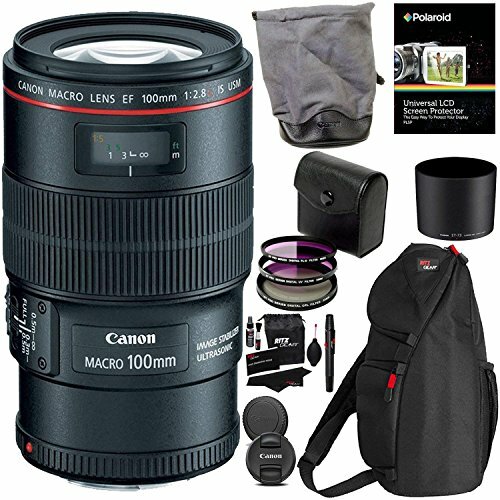 Short-length Telephoto premium lens, Canon EF 100mm F/2.8L is produced for Canon full-frame camera sensors and also has the ability to use with APS-C type sensors. It is engineered for macro-level photography with a superlative magnification ratio of 1:1 which is suitable for close-up stills and selfies. It reduces the ghosting and flares with the help of an exclusive ultra-low dispersion glass elements which benefits while working in daylight. Also includes an Image Stabilizer to lessen the risk of camera shake and allows to capture photos and videos reliably in nigh-time situations. It has a weather sealed design and uses Ultra Sonic Motor with an assistance of internal focusing mechanism for fast and accurate autofocus with remarkable background blur. It allows switching from autofocus to manual focus system. The best ever product for telephoto views of photography using with Canon EOS 5D Mark IV. 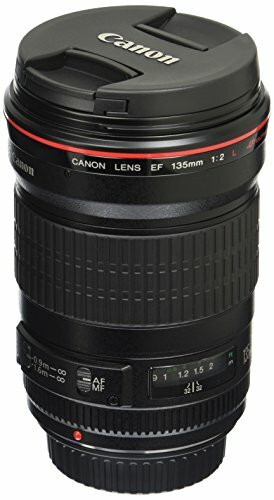 Canon EF 135mm F/2L USM is a classic medium size telephoto gear, a Supreme pick for Canon EOS 5D Mark IV. It is compatible with both the APS-C sensors and full-frame DSLRs. It delivers an absolute performance in low light with its huge focal length and F/2 bright aperture. With a pair of Ultra-low dispersion glass elements, it decreases the aberration and produces the clear and sharp photos. For shooting in strong lighting situations it utilizes its Super Spectra Coating for excellent contrast and brightness. It has a robust seal against moisture and dust which enables you to use it in the snowy environment. With its circular Ultra Sonic Motor, it performs quick and accurate autofocus to provide the best-focused photos and videos with pleasing background blur. Also, allow focusing manually all the time. 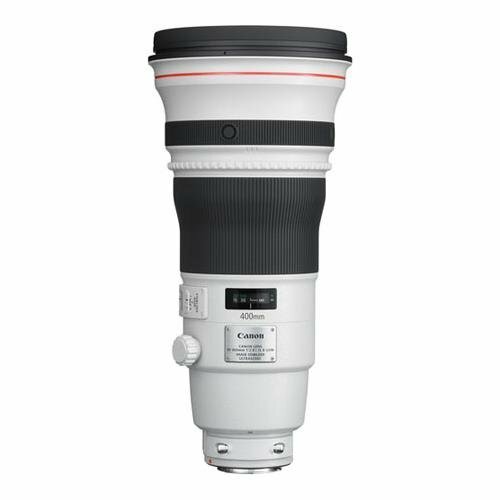 A standard size telephoto lens for both APS-C and full-frame camera sensors, Canon EF 200mm F/2L IS USM, featuring a first-class focal length with the F/2 high aperture for taking high-quality photos from wide angle to telephoto aspects of photography. An ultra-low dispersion glass elements for clearance of the images even shooting in bad lighting conditions, while for working in strong light it utilizes super spectra coating and produces the extreme quality photos and videos. An Image stabilizer is also available in its design to lessen the camera shake with great shutter speed. An internal mechanism for focusing provides help to an ultrasonic motor for fast automatic focus also allows focusing manually all the time. Highly recommended lens to use with Canon EOS 5D Mark IV. 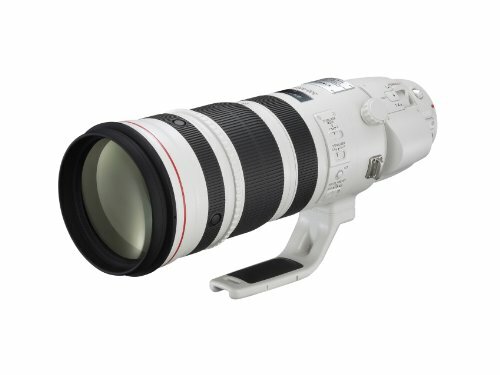 Canon EF 400mm F/2.8L IS II USM is a well-performing and supportive super telephoto lens for Canon EOS 5D Mark IV, specially constructed having professional in mind and capable to use with both full-frame and APS-C type camera sensors. Featuring a wide 400mm focal length and a quick F/2.8 aperture for having detailed photos. It is favorable in all aspects of photography in all types of lighting conditions. It offers a beneficial design to lessen the aberration and distortion and to control color fringing for getting the excellent quality images. An image stabilizer to reduce the camera shake and an Ultrasonic motor for quick and quiet autofocus also allow focusing manually. A feature-packed gear is specially mentioned to use with Canon EOS 5D Mark IV. 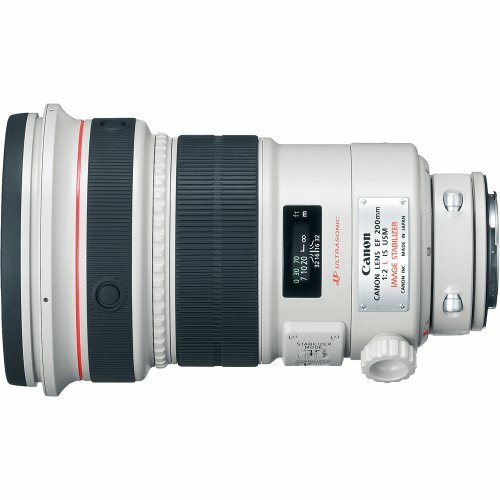 The most admirable super telephoto lens, most suggested to use with Canon EOS 5D Mark IV, Canon EF 400mm F/4 DO IS II featuring optimized and reliable design with largest 400mm focal length and F/4 maximum aperture with 9-blade diaphragm to produce the high-quality photos and videos. A unique UD glass element limits the ghosting and the latest image stabilization mechanism lessens the camera shake by 4 stops. With its exceptional features set it is suitable for all lighting situations. It performs the quick and smooth autofocus with USM and a power focus system is also present to smoothly set your focus while videography. The best performance lens with premium level features to assist in all views of photography. 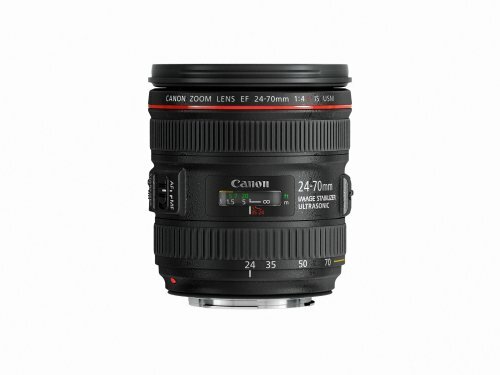 Canon EF 24-70mm F/2.8L is an absolute standard zoom lens for Canon EOS 5D Mark IV, suitable with full-frame DSLRs but also provides best focal length when using with APS-C type cameras. It offers a sublime focal length of 24-70mm and F/2.8 huge aperture for delivering ultimate performance and helpful in low-light conditions. IT includes three glass elements 1 super low and two Ultra Low dispersion to minimize the ghosting and deviation also integrated a super spectra coating for ensuring the best results in strong lighting situations. It has an internal focusing system which assists the Ultra Sonic Motor with quickest processing speed to get the silent and fast autofocus and also makes you able to use as full-time manual focusing gear. 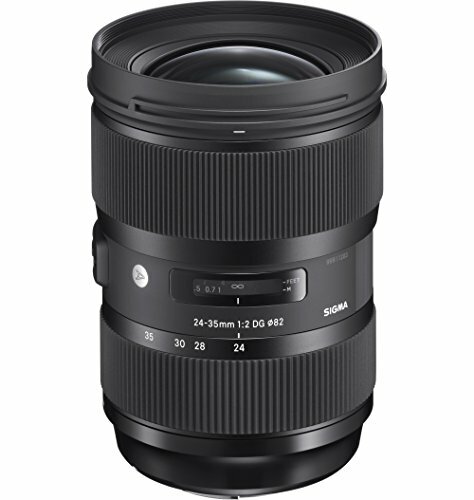 Sigma 24-35mm F/2 DG HSM is a creative lens in the art series, designed for Canon EF-mount camera sensors. An all-around performing lens with an effective 24-35mm focal length with a constant F/2 aperture is designed for use with Canon EOS 5D Mark IV. It creates a friendly environment while shooting in different conditions and provides the high quality and greater contrast. It helps in decreasing ghosting and distortion, and also allows to use it in high-temperature areas. It is suitable for both low-light and strong lighting conditions. A Hyper Sonic Motor is also here to focus automatically with a high speed and permits to focus manually all the time. It also offers the firmware update as it is compatible with USB dock. 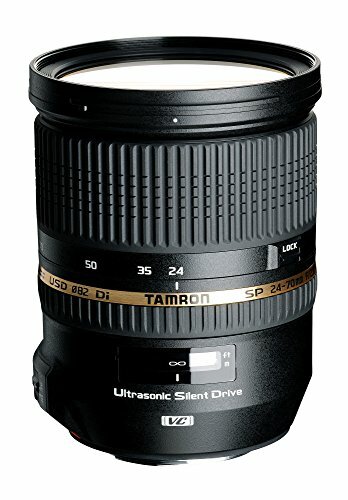 A quick zoom lens for Canon EF-mount devices, The Tamron SP 24-70mm F/2.8 Di VC USD, featuring a wide focal length with the 9-blade F/2.9 opening for producing greatest image quality. It shrinks the deviation rate and ghosting effectively with its three ULD elements and four Aspherical elements and provides the high resolution and sharpness to your moments. It captures most clear and bright photos with the help of its exclusive Di vibration control image stabilizer which minimizes the camera shake. Its unique Ultra Sonic Drive performs the best quality autofocus silently and smoothly to capture crystal clear photos also allows to adjust it to full-time manual focus. It a weather sealed build which allows to use it in any type of condition. 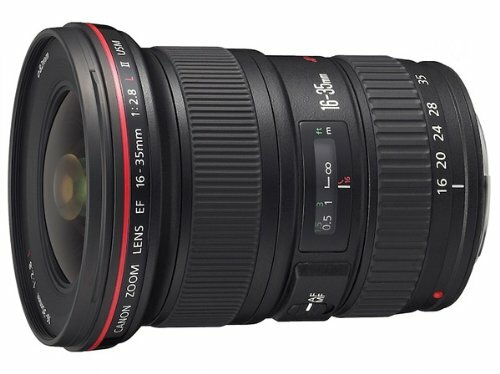 Canon EF 16-35mm F/2.8L III USM is an essential wide-angle zoom lens for Canon EOS 5D Mark IV. It is designed and developed having professionals in mind, compatible with both full-frame EF-mount Canon DSLRs and APS-C type camera sensors, with a glamorous focal length and wide constant aperture of F/2.8 for creating exceptional image quality. It strongly reduces the color fringing and distortion as well as ghosting with its unique and innovative design which contains two ULD elements. It is an L-series lens which allows to use it in intense conditions and provide a robust seal against dust and moisture. It included an Ultra Sonic Motor with a helping internal focusing mechanism to perform an accurate and quiet autofocus also allows to focus manually all the time. 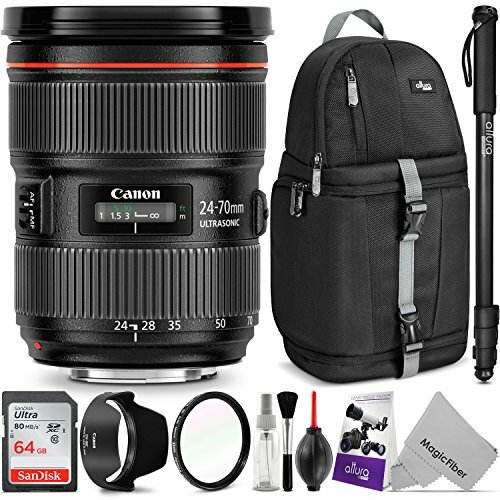 A super wide angle prime zoom lens for Canon EF-mount cameras, Canon EF 11-24mm F/4L USM is a perfect gear to use with Canon EOS 5D Mark IV. Featuring the great 11-24mm focal length and constant wide aperture to give an innovative look to your photos and videos. A unique SLD glass element and one ULD element for improving the colors and sharpness of your captured moments. A fluorine coating applied to its body for preventing it from scratches. It is a weather resistant build for proving its reliability even in intense conditions. An Ultra Sonic Motor is also attached to its design for delivering the silent and optimized autofocus to ensure the better performance, also allows to control it with all-time manual focus. 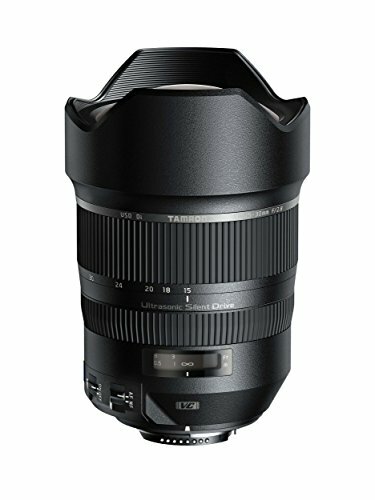 Tamron SP 15-30mm F/2.8 Di VC USD is an excellent performance wide-angle zoom lens, developed for Canon EF-Mount devices. Featuring F/2.8 huge aperture for taking the best results in night-time photography. It is a high-speed lens which ensures you that you will neither miss nor spoil your moments and also prevent your clicks from ghosting and color deviations. It has a unique feature in its design as it has a Di vibration control image stabilizer for reducing the camera shake which is helpful to produce remember able shots and videos in a clear angle of view. It also includes a unique Ultra Sonic Drive for performing the quickest and silent autofocus with lovely background blur which is great for both photos and videos also able to focus manually full-time and you can focus manually even in AF mode. Highly recommended, exceptional performance water-proof, and wide-angle zoom lens for Canon EOS 5D Mark IV. It is the perfect build for getting high-resolution photos and videos made for professionals to use it in any type of photography. Featuring the ideal focal length and wide opening for getting the amazing results. Its glass elements secure your images from ghosting and distortion. It allows you to capture your selected view even from a wider distance. It uses an Ultra Sonic Motor for silent and accurate autofocus also includes an internal mechanism for focusing which provides most focused and bright images. Also allows it to be used as a full-time manual focusing gear. 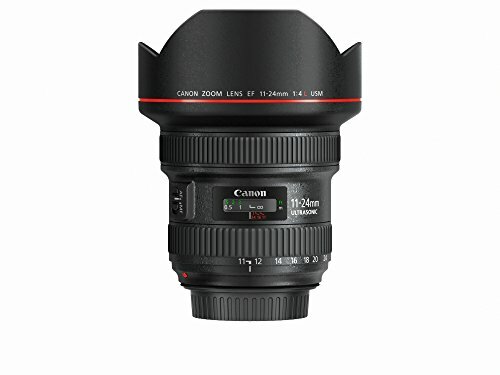 Canon EF 16-35mm F/4L IS USM is an admirable wide-angle zoom lens developed for Canon EF-Mount sensors and provides 56mm focal length while using with APS-C type sensors. 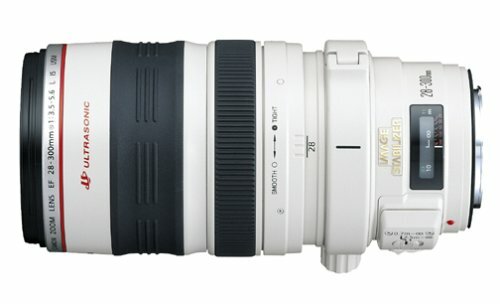 It has a still F/4 huge aperture which gives consistent performance in the whole zooming range. A paired ULD glass elements and three Aspherical elements to lessen the distortion, ghosting and provide the improved sharpness in photos and videos. It has a unique image stabilizer for reducing the camera shake by 4 high-speed stops which definitely helps in low-light situations. An Ultra Sonic Motor is also integrated for better performance in focusing automatically and allows to switch from auto to manual focusing. A perfect choice for using with Canon EOS 5D Mark IV. 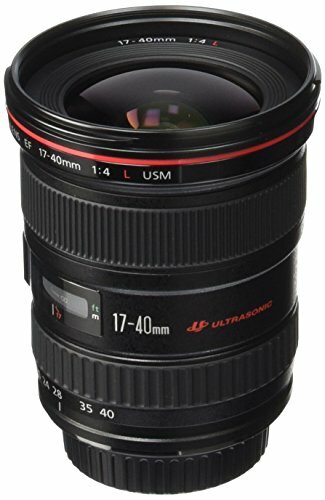 An all-around zoom lens offering a wide angle of view range, Canon EF 17-40mm F/4L USM, featuring an optimized design which is built for Canon EF-Mount DSLRs with a constant aperture and glamorous focal length for taking supreme quality photos. It is also feasible for video shooting. Exclusive Super ULD glass elements help in minimizing the risk of chromatic aberration and provides the best ever images and videos. It benefits in both the low-light and strong lighting conditions. It also uses a USM for presenting the silent and accurate autofocus, an internal system is also available for help in focusing on moving objects. An enjoyable and delightful performing gear for delivering excellent results in both photography and videography while using with Canon EOS 5D Mark IV. 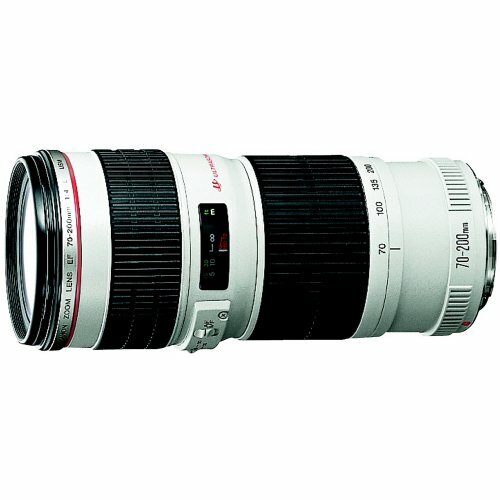 An amusing wide range telephoto lens, Canon EF 100-400mm F/4.5-5.6L IS II USM, compatible with both EF-mount and APS-C mount DSLRs, featuring large 100-400mm focal length with F/4.5-5.6 huge aperture for getting the clear images of a distinct object. It is a feature compact, offering a fluorite element and a unique super ultra-low dispersion glass which helps to shrink the aberration and provide super sharp images and videos. An optical image stabilizer is also present to decrease the camera shake by 4 stops. It is sealed for water and dust which allows to use it in intense conditions. It has a rounded Ultra Sonic Motor with a high image processing speed for performing the quick and smooth autofocus also Allows to focus manually all the time. Sigma 150-600mm F/5-6.3 DG OS HSM is a versatile wide-angle telephoto zoom lens specially designed for Canon EF-mount full-frame cameras. Offering an inordinate focal length of 150-600mm along with a huge F/5-6.3 aperture range for getting the high-quality photos. It includes one FLD glass element and three SLD glass elements for reducing the distortion and to provide the good-looking images. With an Optical image stabilizer, it lessens the risk of camera shake to prevent your moments. It allows you to adjust the zoom and lock it helpful when using with hands. It uses Hyper Sonic Motor for providing the smooth and high-speed autofocus and allows to focus manually all the time. It is compatible with Sigma USB dock for firmware updates. A splendid level lens for Canon EOS 5D Mark IV. 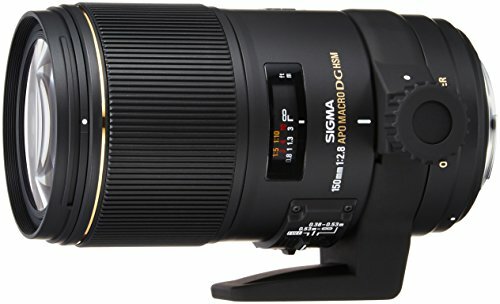 A super-fast telephoto zoom lens, Sigma 120-300mm F/2.8 DG OS HSM, featuring a massive focal length with the quickest and constant F/2.8 aperture. It is a pro-level lens for shooting sports, wildlife or natural objects in daily life professional photography using with Canon EOS 5D Mark IV. A Hyper Sonic Motor is integrated to offer accurate and super-fast autofocus with an ability to focus manually full-time. It is designed to be a strong resistance to water and dust for preventing your gear. With its low dispersion glass elements, it reduces the deviation and color fringing and ensures to capture super sharp images and videos. It is compatible with Sigma USB Dock to update the latest software by sigma and controlling the other settings. 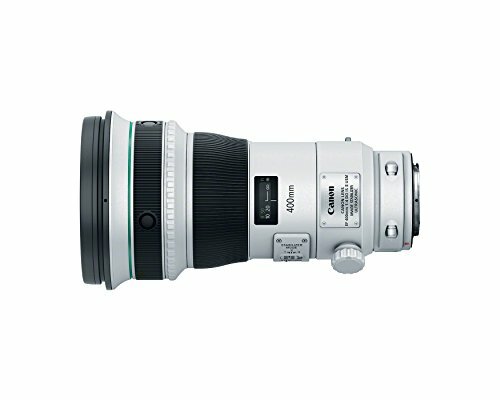 Canon EF 70-300mm F/ 4.5-6L IS USM is a flexible and favorable telephoto zoom lens specially constructed for full-frame camera sensors but can be used with APS-C type camera sensors. It includes the Ultra-Low Dispersion glass elements for reducing the aberration and also includes a super spectra coating which gives definite results in day-time photography. A rounded Ultra Sonic Motor is also available for proving the quick and precise autofocus and you can focus manually all the time. It is an amazing lens with premium qualities for Canon EOS 5D Mark IV. An Optical Image stabilizer is also present to lessen the camera shake by four stops and permits to take the high resolution and sharp images, also feasible for video recordings. 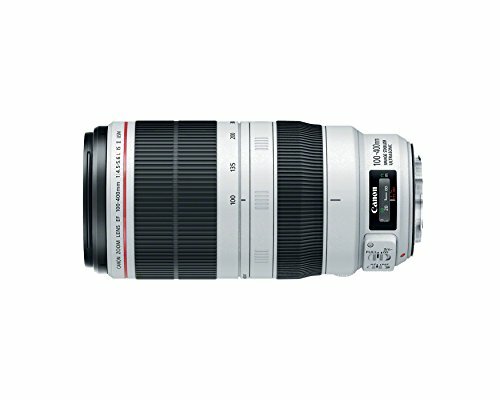 An all-around performance, a lightweight telephoto zoom lens for Canon EF-mount cameras, Canon EF 70-200mm F/4L IS USM, featuring versatile focal length with a constant F/4 aperture for delivering the super sharp images and videos. It uses Ultra Sonic Motor for getting the silent and exact autofocus to produce focused images with natural background blur and permits to be used as a manual focusing device. It provides the maximum reduction of aberration and distortion with its low dispersion glass elements. It lessens the maximum risk of camera shake by four stops for helping in night-time photography. It provides a seal for resisting the dust particles and moisture. An amazing performance and low price lens suitable for Canon EOS 5D Mark IV. 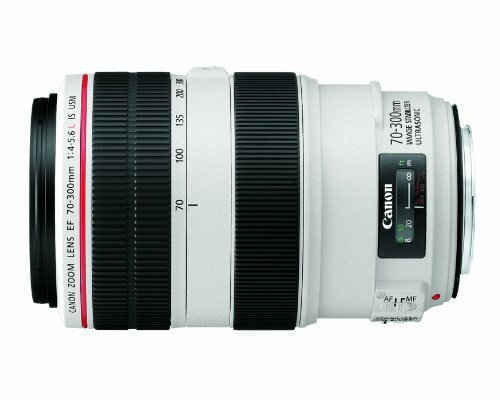 Canon EF 200-400mm F/4L IS USM Extender 1.4X is a super telephoto wide range zoom lens for Canon EOS 5D Mark IV. It is constructed for Canon EF-mount cameras offering a wide focal length of 200-400mm along with a built-in 1.4X extender which allows you to extend your maximum reaching point for helping in capturing the distinct objects. A rounded Ultra Sonic Motor is also here to provide the super-fast autofocus and allows to focus manually anytime. A constant aperture also helps in focusing. It has a super spectra coating to minimize the ghosting and helpful for daytime photography. An Optical Image Stabilizer helps to reduce the camera shake by four quickest stops to produce the best ever images and videos even in intense light photography. It has a weather sealed build, for permitting to use it in harsh conditions. 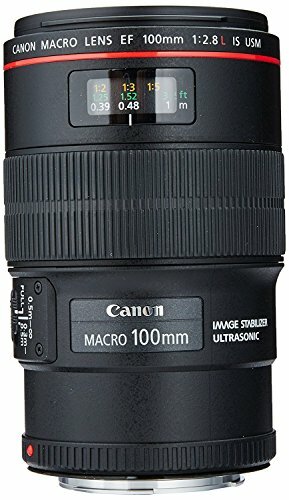 An L-series short telephoto prime lens for macro-level photography by Canon, the EF 100mm F/2.8L Macro IS USM, specially manufactured for shooting mid-range objects compatible with both full-frame and APS-C mount camera sensors. An absolute lens for macro photography, featuring a 1:1 magnification ratio which is great for shooting close objects. Including an internal focusing mechanism along with the hypersonic motor to perform the best autofocus and also allows to focus manually, providing splendid focal length and consistent F/2.8 aperture which also helps in precise focus. Featuring a ULD glass element to reduce the flaring and also reduce the ghosting with the help of super spectra coating. With the most effectual image stabilizer, this is the most pleasing lens in its class and provide the ideal images and videos with Canon EOS 5D Mark IV. 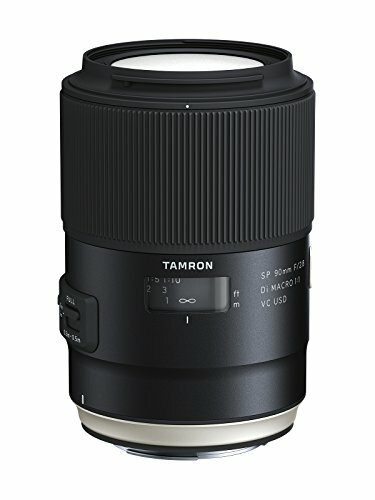 Tamron SP 90mm F/2.8 Di VC USD Macro is a short telephoto most sharp lens from Tamron for FX-mount camera sensors. Featuring a reasonable focal length and F/2.8 bright aperture for shooting the close objects. It is an awesome pick for macro-level photography using with Canon EOS 5D Mark IV. It offers an Ultra Sonic drive for quick autofocus which allows focusing manually at any time, also an internal focusing system assists the USD for better focusing performance. It includes Di vibration control image stabilization system for minimizing the camera shake helpful in handheld photography and also feasible for shooting in low-lighting condition. It also offers a seal for dust and water which allows to use it in inclement conditions. It provides the best shooting experience and delivers amusing results while shooting selfies or close-up stills. 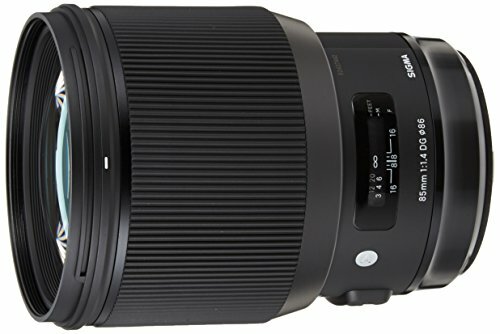 A supreme lightweight telephoto zoom lens, Sigma 150mm F/2.8 EX DG OS HSM APO Macro, offering the exceptional performance with 150mm focal length and F/2.8 large aperture and a real-time magnification ratio of 1:1. An excellent performance macro lens for capturing the close objects with Canon EOS 5D Mark IV. It is compatible with the full-frame mount as well as APS-C size cameras. It included an Optical stabilizer to deal with camera shake which ensures the perfect performance in night-time photography. A Hyper Sonic Motor performs the silent and accurate autofocus with high image processing speed. A Super Multi-layer coating is integrated for reducing the ghosting and provide the super sharp images and videos in day-time photography. Exclusively compatible with APO Tele-converters which allow increasing its focal length. An ultimate gear for getting the high-quality macro level photos and videos.